Pretty art and music with a touching story... I loved it. This really makes my heart warm <3 it really touched me and its beautiful to see that this game its gonna touch others people's heart. You are amazing! Novena is a very beautiful, little story about friendship. The music and the story are very evokative. Even the visuals are beautifully created, as it is hard to distinguish anything from its ZX Spectrum-style graphics and much is left to the imagination. At points when the environment has degraded, it becomes impossible to make out anything at all and you feel unsettled because of it. Oh wow, i think i almost cried. This was gorgeous, i was needing this. It was beautiful. Thank you so much. One of the most beautiful pieces of art I have seen in a long time. This will go on with me for a while, I am sure. This game is so touching and well-crafted. Thank you for giving me the chance to play it. I love it a lot. this is such a beautiful game. from the music to the story, everything was just gorgeous. it really speaks to me, in a way. This is beautiful. One of the simplest yet moving games I've played. Thank you. This was beautiful. You brought tears to my eyes. Wow this was great. Good use of repetition to set up expectations and then freak me out when stuff starts changing. That was really beautiful, wow. 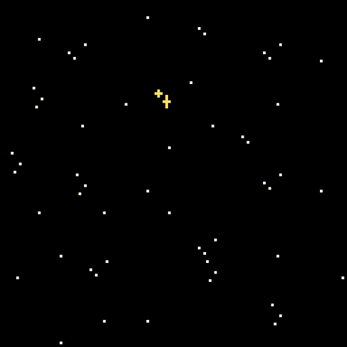 I love bitsy games like this. the visuals are simple and let the player do a little imagination on what they're seeing, and it makes them focus on the story more. this was very emotional to play, but it ended on such a wonderful note. You have changed my perception in a way I can't explain. The story-telling, the music, the art, they all lingered in harmony for your acceptance. It was poetic in a way even the most beautiful of words would only fail to describe and for that I thank you. You have constructed a story that your mind dared to embark on and we all admire to witness the fantastic results. Thank you so much. P.S. You chose an excellent song. Arête is one of my new favorite songs now. This is probably one of the prettiest games I've ever sat through in a while. The music and scenery were utterly breathtaking, and the story was really powerful and moving. This was short but incredibly powerful! One of the finest narrative story-driven games I've ever had the pleasure of experiencing. As the days wore on, I felt myself connecting more and more with the words, and by the time I got to the end I was overwhelmed. Amazing what can be achieved in 15 minutes! This is gorgeous, I'm crying now! Nice little game. I wish some of my questions were answered in the ending but they were not. A wonderful work of art! oh WOW i was a BIG FAN of glitch back when it was around! i had such a good time and i miss it every now and then. i can totally see how this is reminiscent of that game! thank you so much fellow glitchen! This is the sweetest thing I've experienced in a long time. It has left me feeling some really unique emotions that I'm glad to be feeling. I ended up here after looking into Bitsy and what it can do. After seeing this my heart swells with hope and my brain fills with ideas for storytelling . Great work! Bravo! Just a really nice game even with its simplicity. I felt bad for the ocean. And I felt like the ocean. And the music was just great. Short but great. It struck the right chord with me since I live near the sea but I haven't visited it in a while. this was wonderful. 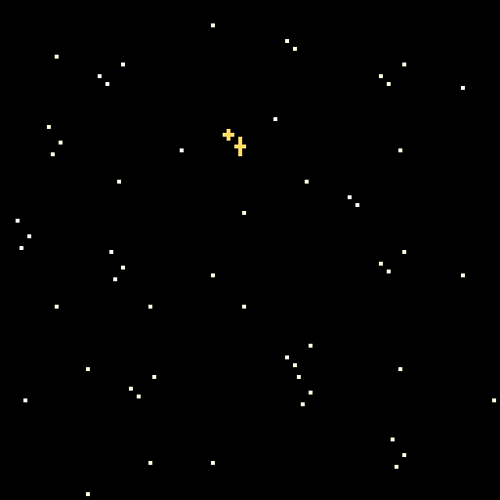 a lot of bitsy games i've seen have left me confused and dissatisfied, but your game was different. it told a coherent story, it had some depth to it, and it made me feel things. thanks for making this. I personally loved this small game it really calmed me down!